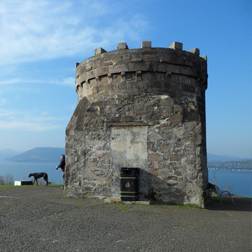 Once a tourism and fishing hub, Gourock has exploded onto the global scene as an industrial community. Companies from around the world have planted roots in Gourock changing the industrial landscape of the area. As more manufacturers, distributors, and producers such as American IT firm Accelalpha move into the area, the need for workers with foreign language abilities will continue to increase. The highly qualified, native speaking teachers at Language Trainers can help you get started on the path to learning a new language and putting yourself ahead of the pack. The expert teachers will work with you one on one to complete courses and lessons at a pace that is comfortable for you. Use our free online language tests to test your level or get started today by contacting us about creating a custom-made personal course. Our general one-on-one courses in Gourock will help students improve their English level quickly and efficiently, whatever their needs. One of the most exciting aspects of our courses is that they are developed entirely around the needs of the students. The fact that we offer our English classes on a One-on-One basis means that you can learn the words and phrases you need in a comfortable and relaxed environment. Our English courses in Gourock are taught on a one-on-one basis and will help you improve your business communication skills immensely. No matter what level you begin at we will soon have you dealing with business introductions comfortably before moving onto other matters. Beginner level students can expect to finish the course with basic telephone English and email skills, as well as a level of survival English, granting them the ability to work in a country where English is the native tongue.